EXTREME FENG SHUI CURES NEEDED! Does this picture look like a room in your house? If so, I have good news for you: you can improve the feng shui simply by picking up everything and putting it in its place. This room is mostly about laundry and toys and letting them pile up. No biggie. But some people have let their homes go beyond the beyond…and only the bravest of feng shui consultants will dare to cross the threshhold of these homes pictured at http://uglyhousephotos.com. <<<Click this link only if you have the stomach to see the most revolting pics of roach & rat infested homes, cigarettes butts piled 3 feet high, and other home situations more disgusting than the next. What’s the point, you say? The point is this: your own place is going to look way better to you once you see these pics! 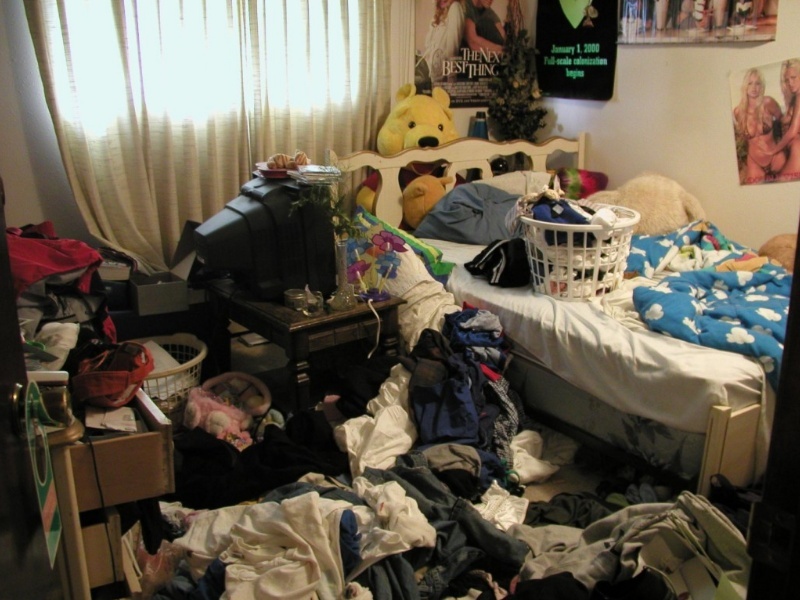 And you’ll be inspired to pick up the clutter and get your feng shui mojo going for 2011.